Painting furniture is not hard to do, but in this tutorial we will show you how to achieve a great aged painted finish that not only looks amazing, but will last for years! One of my favorite painted finishes happens to be the one we show you in this tutorial. I love the natural aged and worn effect achieved through this process. There are many ways to paint furniture, but only a few methods will give you a durable long lasting beautiful finish that is as easy to maintain as it is on the eye. 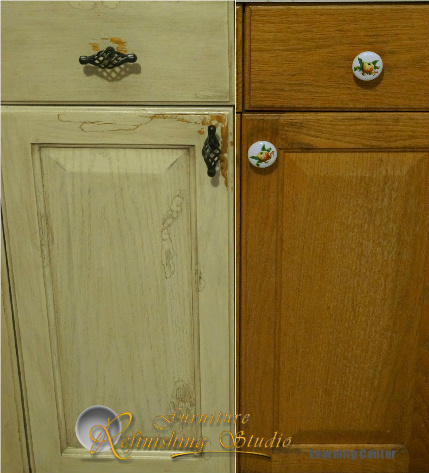 This tutorial shows the finish being applied to kitchen cabinets, but it works well on many styles of furniture as well. We opt for the heavy distressing and chipped paint effect, which when done correctly looks amazingly natural. Love, love , love this finish. I guess it's somewhat odd that a guy who has spent the past 30 years making furniture beautiful and perfect has such an affection for a finish that looks worn and used? Maybe it's in the unusual nature of the finish itself. I see it so rarely, and even more rarely do I see it done well. 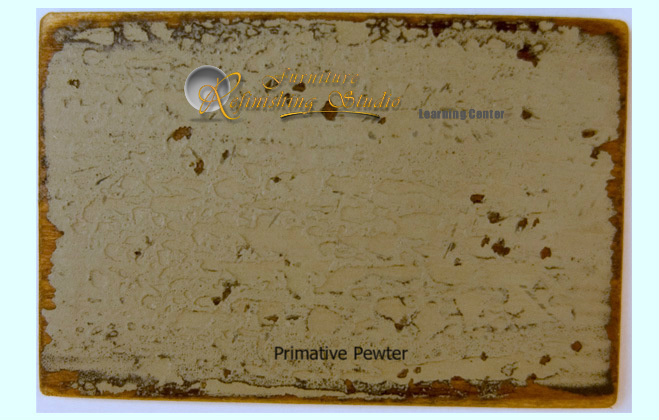 This painted finish is similar to what we call a primitive painted finish when we apply it to furniture. Many times, I'll layer two or even three colors of paint in this finish, but for this project I'll be using one color (pewter) over natural oak. Everywhere you turn these days, you can find tutorials on painting furniture. Generally speaking, painting furniture with latex paint is so simple I don't find it worthy of a tutorial here in The Learning Center. 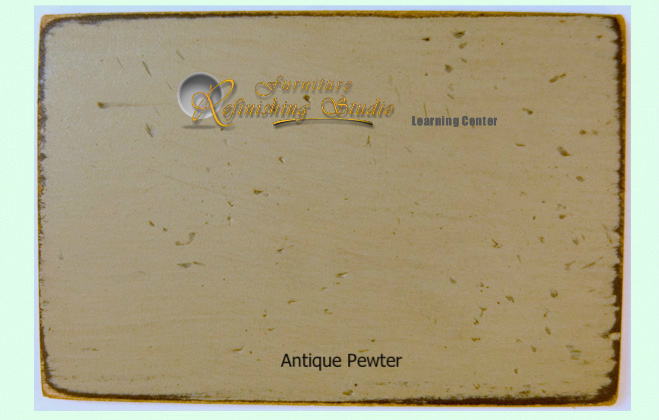 We like to keep it fresh and unique here in The Learning Center, so this finish allows me to show you a correct method of finishing furniture with latex paint, while at the same time sharing some specialty techniques with you. Skip whatever steps you want to leave out, OR Add these distressing techniques to your finish in whatever degree suits your taste to set it apart from the ho hum (yawn) distressed painted finish everyone else is doing 🙂 Either way, you'll find this tutorial super helpful if you are considering painting your furniture or kitchen cabinets. 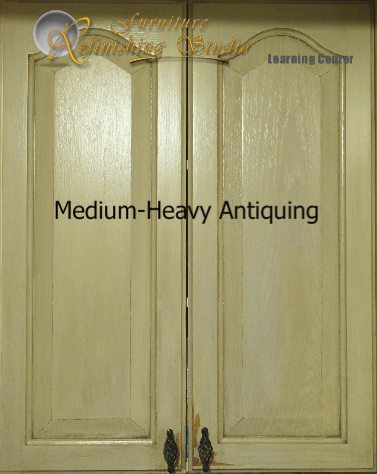 Not all of people like heavy antiquing, Just as not all furniture can handle it. The majority of us prefer mild to medium distressing, but the wonderful aspect of this finish is that we can express our personality and creativity through our finish, and subsequently through our homes interior. 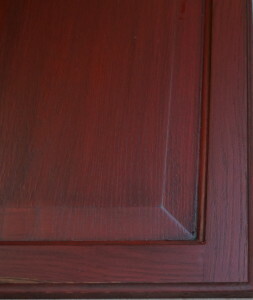 The color we have chosen for our kitchen cabinets is Pewter for the main cabinets, and Barn Red for the island. 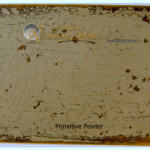 After trying several samples, we decided this color blended best with all the stainless steel that was already present. Above is one of our kitchen cabinets. They are about 15 years old and the finish is well worn and damaged from the moist environment of a kitchen. The first step is to remove all the doors and drawers. I like to do as little actual finishing in the kitchen as possible, so only the outsides of the cases will be finished in the kitchen itself. 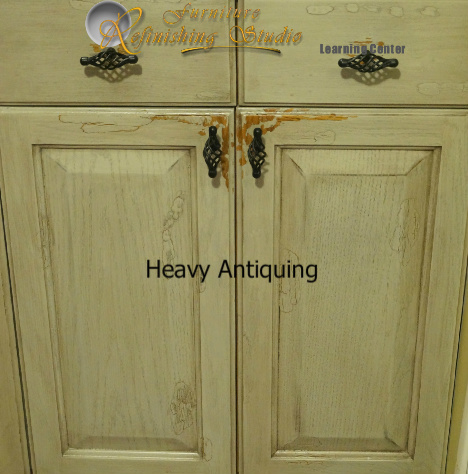 Below: One of the beauty's of an aged antique painted finish is that it doesn't need to be perfect. Therefor, I rarely strip off the old finish (saving a ton of time). With that in mind, I will begin the process by sanding the finish with 220 grit sandpaper. Not all sandpaper is the same....far from it actually. Isn't it nice how the manufacturers of sandpaper put almost zero information except for the grit on the packaging ? It may surprise you how much one sandpaper differs from another. Here is a Learning Center Article that will explain sandpapers, it's a good read and you can save a bunch of time and money by just using the right sandpaper for the job. Below: After sanding, we will clean all surfaces well with mineral spirits. This next step is a very important in assuring a good bond with our paint, so be sure you don't skip it. 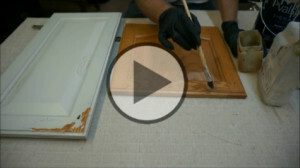 If you miss this step ( and most of the 100's of how to paint furniture tutorials on the net miss this step), you more than likely will be able to scratch and peel your paint off with your finger nail. 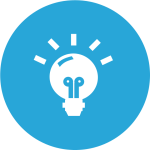 A poor bond means the finish will not last very long and will prematurely fail. 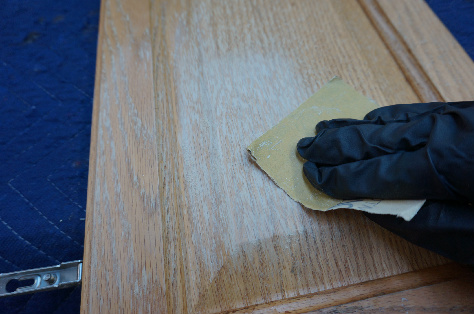 After sanding the original finish and cleaning, apply a coat of shellac to all woodwork. The shellac will seal in any contaminates that may lie within the original finish such as dirt, oils, silicone from furniture polish, etc. You can apply shellac either with a brush or aerosol and shellac can be purchased at your local hardware store. 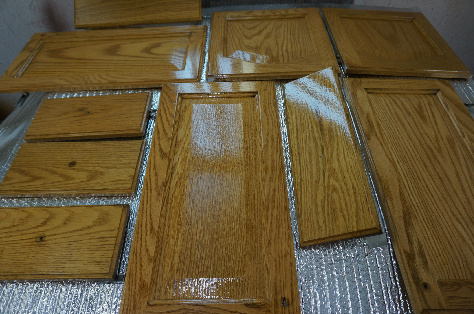 Here is a Learning Center Article on finishing with shellac. Now the real fun begins. We've completed the procedures to ensure our paint will bond to the original finish. In the THREE videos below, we'll go step by step through the entire painting process, along with all the aging and distressing techniques. Now that the painting portion of the project is completed, we want to apply a clear coat over the paint. 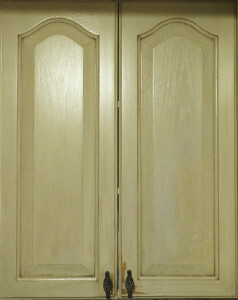 The clear coat is what will transform our painted finish into a true furniture grade finish. The clear will add protection, as well as creating a silky smooth finish that will be easy to clean and maintain. 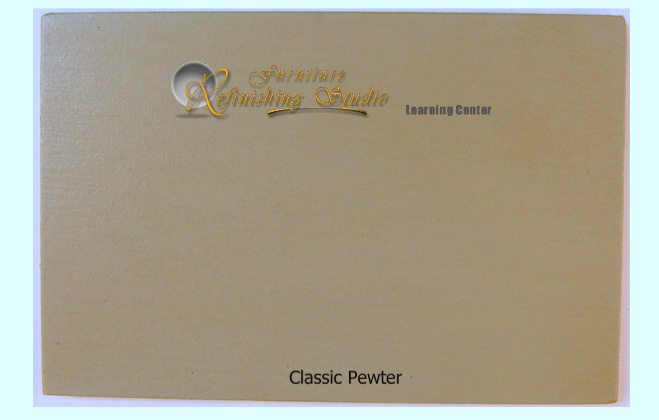 A special consideration when choosing our finish is the clarity. Anytime we clear coat over a light painted finish, especially a variation of white, we want to be sure to choose a water clear topcoat. 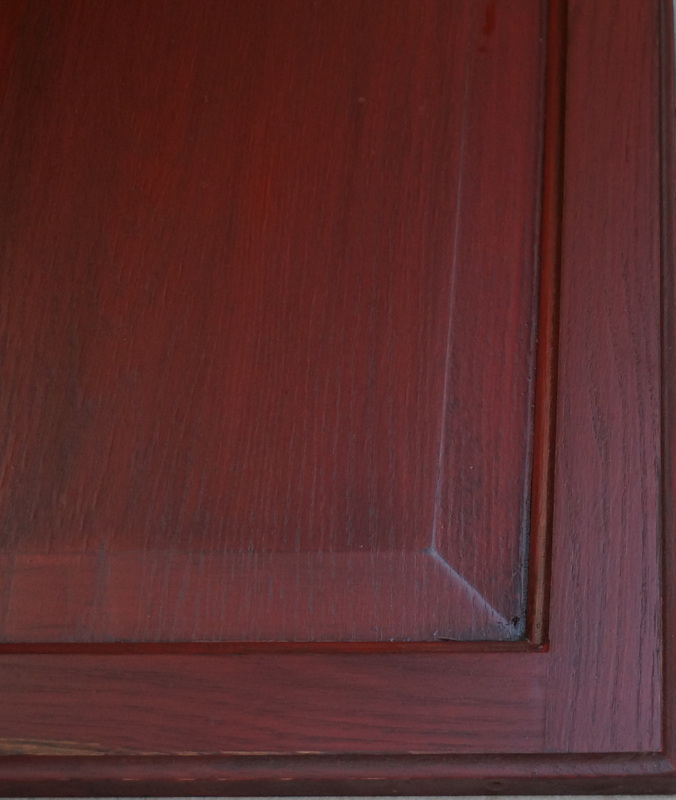 Here is a Learning Center article to help you Select a Finish. One finish I often suggest for this type of job for the DIY finisher is Sherwin Williams Wood Classics waterborne polyurethane varnish. 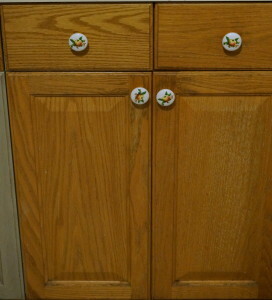 If you are painting furniture, and not kitchen cabinets, you may also consider using wax. I don't really recommend it normally because it's not going to protect as well as a clear coat, but it does work on furniture that doesn't get much use or wear and it's quick & easy. 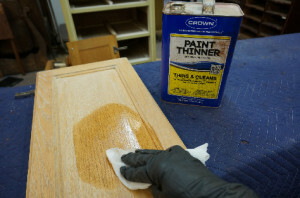 Here is a Learning Center Article on applying wax as a finish. 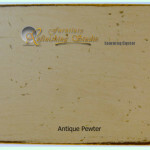 Another Learning Center article you may find helpful is How To Apply Furniture Finishes.